January isn’t really that different to any other month of the year, but leftover guilt from an indulgent December, along with the realisation that another year has flown by, gives it a sense of ‘new beginning’ that’s impossible to avoid. Getting more exercise is one of the most widely pledged resolutions in the UK each year, and for many, that means kicking off the new year with a gym membership. But even with the rise of the budget gym contributing to a growth in the fitness industry, the average monthly cost for one is still a whopping £47 a month. That’s £564 per year. A vast majority of gym memberships will rope you in for a full 12 month contract, and when you combine that cost with the fact that 80% of New Year’s resolutions fail by February, you can begin to see how they could be a waste of your money. Studies suggest the average person will throw away around £30,000 on direct debits for unused subscriptions and services in their lifetime, with one of the biggest contributors being ‘expendable’ gym memberships. Even if you are serious about commitment to fitness, is January really the best time to get started? It’s a cherished annual tradition to moan about the wave of inexperienced strangers that invade gyms in the first month of the year, but there’s often more than just a few new joiners. Membership data from leading gym chains show that there are 40% more people in the gym during January, and over 50% of them don’t know how to properly use the equipment. Simply put, if you’re joining a gym in January, you’re not getting the best possible value for the money you spend. Money that might be better saved towards a home. Saving for a deposit in 2019, why not make it “New Year, No Gym”? 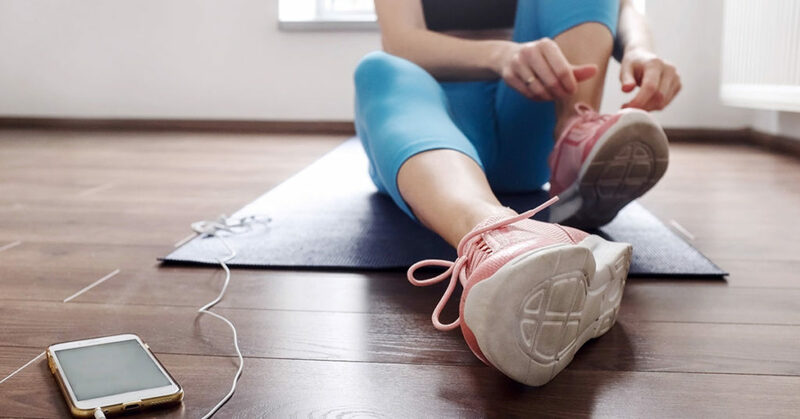 At the very low price of absolutely free, one of the most cost-efficient ways to save money is by exercising at home, using workouts without equipment. With YouTube tutorials for inspiration, there are hundreds of creative ways to use household equipment to support your fitness goals, but most of the best workouts for your core muscles, like squats and crunches, can be achieved with only a comfortable outfit and a towel to hand. An obvious solution for home cardiovascular workouts is to just get outside and run. Studies have shown that outdoor workouts can generate much greater feelings of well-being than exercising on a treadmill indoors. 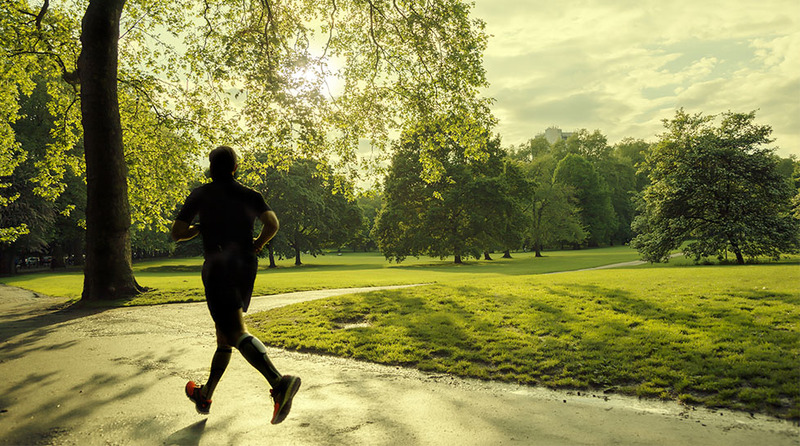 The low amount of light the UK gets during the winter months means an outdoor jog can also help get you a little more Vitamin D.
If you’re new to running, then the NHS has a great home cardio workout that can help you get started, and after that you can work your way to a parkrun event – which are held all across London. Or if you think you might need something to give your body a bigger challenge, then there is home workout equipment that will still work out considerably cheaper than a gym membership. A skipping rope can give you a great cardiovascular workout, while multi-purpose equipment like an exercise ball can make your budget and your muscles stretch further. Of course, this ultimately all depends on what your fitness goals are, but it’s worth considering whether you really need a gym membership, and whether the amount you use it justifies the cost. 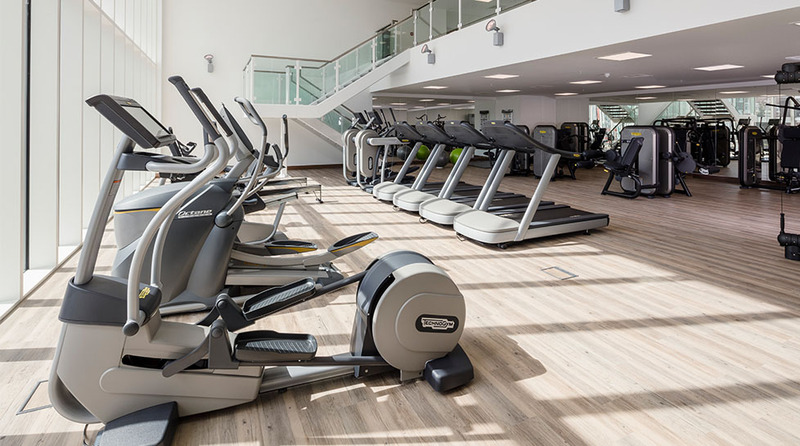 Or if you buy a new build home with Barratt London, you could have fitness suite access included with your property, giving you a gym that’s quite literally on your doorstep.